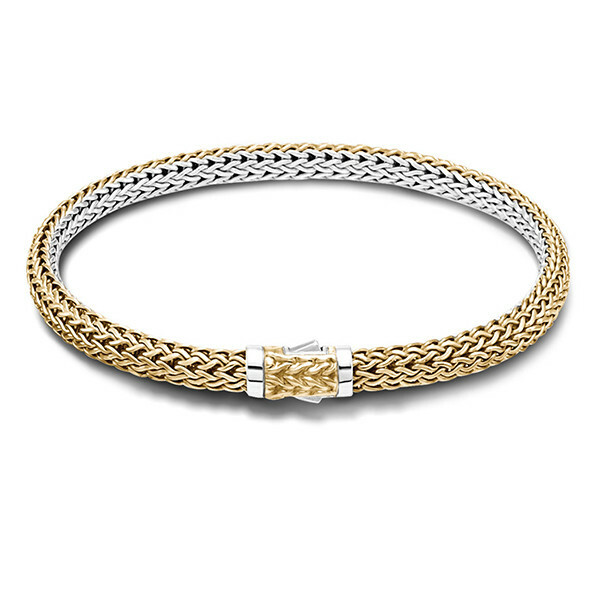 This slim slice of versatile heaven is part of the John Hardy Classic Chain collection. With two distinctly different sides, this bracelet has a cool, smooth sterling silver side that can switch to a feisty, fiery 18kt gold side with the flick of your fingers. A two-toned clasp balanced the two sides perfectly. Let the beauty of John Hardy seduce you through this amazing bracelet.